When you are with your kids and dog in the outdoor area of the house the fun is at its great peak. Cricket, football, running and many other games are enjoyed to get yourself relaxed as well as to spend some quality and exciting time with your little ones. So when you are tired of chasing a ball, or get exhausted running behind the kids and the pets you need something at your arm’s reach to sit comfortably on and wait for the stability of your respiration. 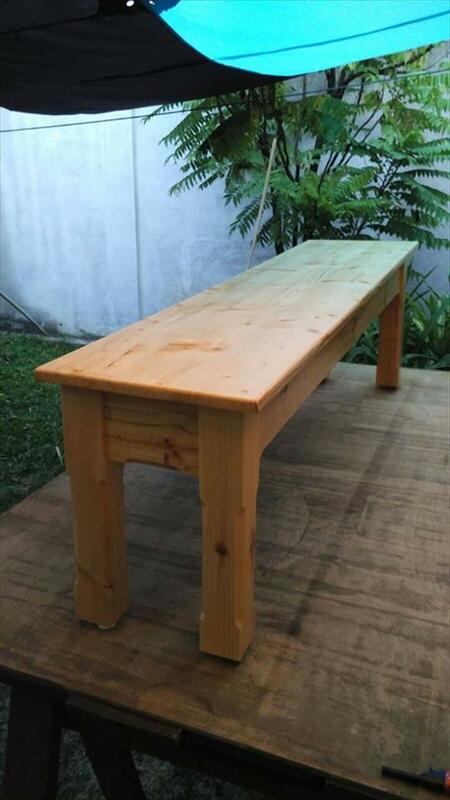 And this DIY pallet outdoor bench can very humbly provide do that service and that too at free of cost. Yes being reclaimed from the pallets the bench comes free in hands to furnish your outdoors with a common, functional and gorgeous looking seating item. 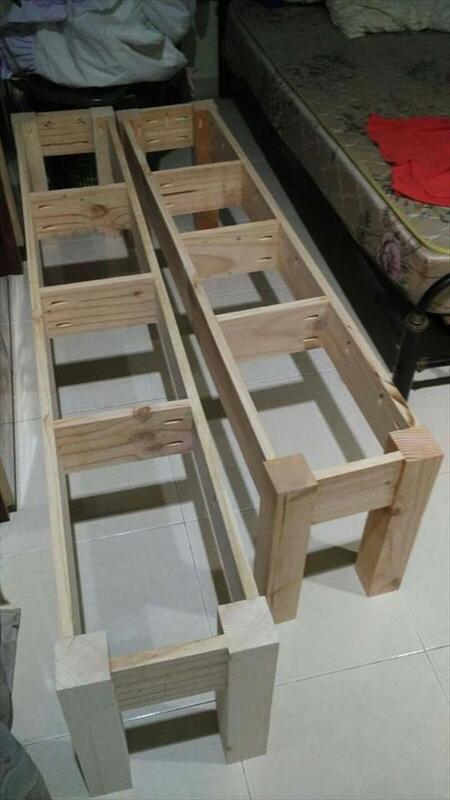 Long pallet planks have been stacked together to form the berth seat and small ones have been used to build the legs and the under seat structure. It has been sanded down smooth but not stained so that you enjoy a very natural and rustic type of piece to uplift your outdoor decor. 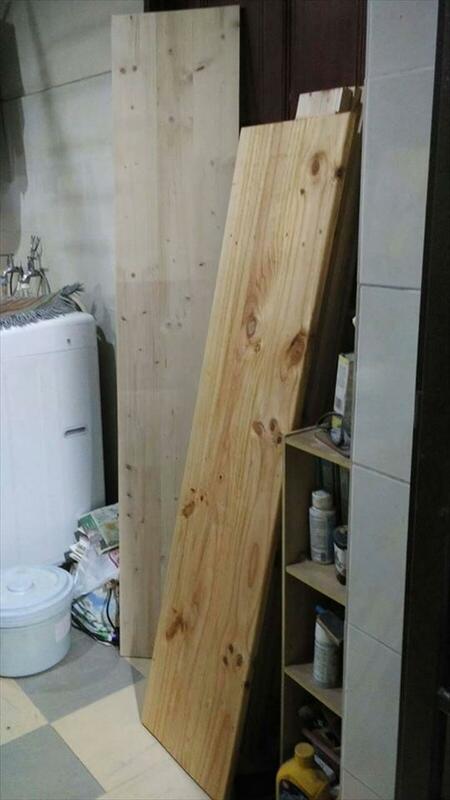 If you are familiar with the pallets then you must know that there is always the procedure of dismantling the pallets before you start your project and for this bench possession long planks have been sawed. A little wide but long slats have been used to form the support fame of the bench which includes the legs also and that have been built from the thick pallet beams. When the leggy or support frame of the bench is complete then the berth has been added on the top which the large and wide pallet plank. The legs have been trimmed a little for a traditional look. 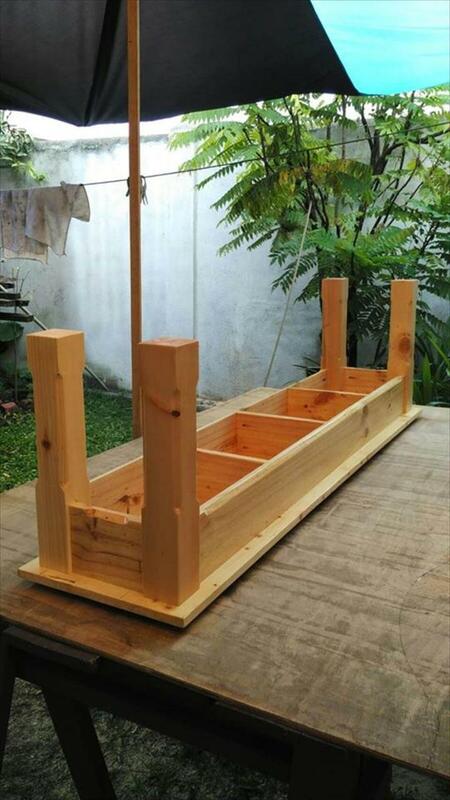 Here is how your pallet bench would look when the construction is complete and it has been sanded well after the composition to make the surface smooth and even after which it would be ready to get stained in your favorite hue.